Member of the Executive Committee of the Palestine Liberation Organization (PLO) & Head of National Bureau to Defend the Land and Resist Colonial Settlements, Tayseer Khaled, has welcomed South Africa’s decision to boycott the African-Israeli Summit on Higher Technology, Communication, Agriculture and Security, to be held in Lomé, Togo, in the last week of October. PNN reports that at least 150 Israeli companies, along with Israeli Prime Minister Benjamin Netanyahu, received an official invitation to participate in the summit, on which Israel is betting to normalize its relations with all the African Union countries. 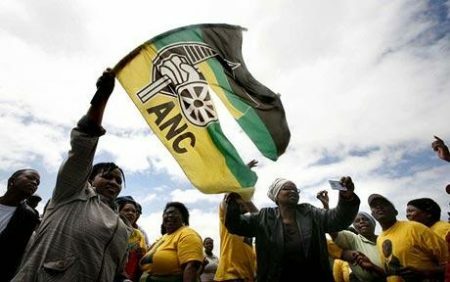 The African National Congress, last month, called for initiatives to block Israel from approaching African countries in general and the Conference in Lomé in particular. The official position of the Republic of South Africa, which affirmed its solidarity with the Palestinian people, its just cause and its struggle for independence, and sharply criticized the Israeli attempts to win Africa at the expense of principles and to undermine the Palestinian cause, has been applauded. “In this occasion, Mandela Mandela and the South African ruling party shows its commitment to the positions of the late great leader Nelson Mandela in support of the Palestinian cause, which called on the government to sever all diplomatic relations with the occupying state, including the expulsion of the Israeli Ambassador to the republic of South Africa,” Khaled said in a statement. Khaled stressed that such positions are truly honorable and bear witness to the great friendship and cooperation between the Arab-African countries, South Africa and other African countries in the region. It paves the way for the members of the Organisation of Islamic Cooperation (OIC), for a united position against the Togo summit and to halt the normalization efforts with Israel in the African continent. It has been speculated that accepting and normalizing relations with Israel will only encourage Israel to continue to defy international law and international resolutions related to the Palestinian cause and the rights of the Palestinian people, and provide unwavering support to Israel’s violations of human rights in the Palestinian territories occupied in 1967, the illegal settlement and the policy of transfer and systematic ethnic cleansing and the almost daily harassment of the Palestinian people at military check-points in the West Bank.